As a stylish crossover SUV, the Murano has no peer. A powerful 265-bhp 3.5L V-6, combined with an XTronic(R) CVT (continuously variable transmission) guarantee sprightly acceleration. 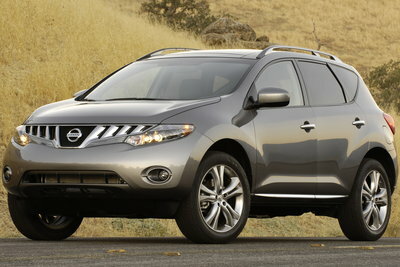 Since the Murano lacks a transfer case, it is not suited for serious off-road travel. The 5-passenger Murano is available in FWD and AWD variants. At first glance, the all-new Murano appears little different from the current model. Riding on a new platform the Murano is virtually identical to its predecessor in size. Major changes include a more powerful V6, sleeker front-end styling and a much more luxurious interior.